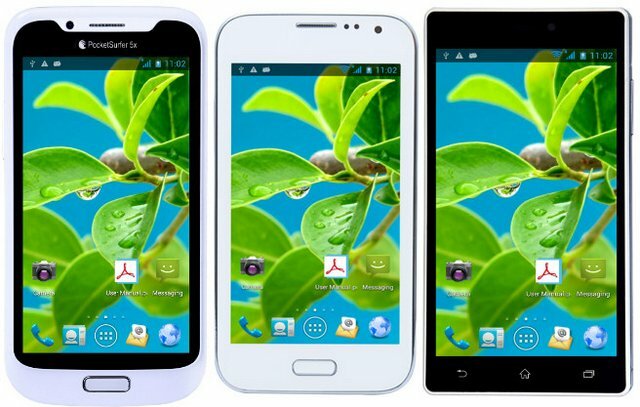 DataWind, the company behind the low cost Aakash tablet has now launched three budget android smartphones with entry level specs, the PocketSurfer 5, 5X and PocketSurfer 3G5. The Pocket surfer 3-G5 and 5 comes with 5inch WVGA display. The Pocket Surfer 5x has 5inch display with WQVGA display. The 5X and 5 draws the strength from 1GHz single core processor. The 3G5 has dual core CPU and it is the only phone that supports 3G network. The Data Wind Pocket-Surfer 3G5 features Dual SIM, 3G, WiFi, FM radio and runs on Android 4.2 Jelly bean OS. The handset included 5MP rear and a VGA front camera. It is priced at RS. 6,499 and you can purchase it from the company’s official website.